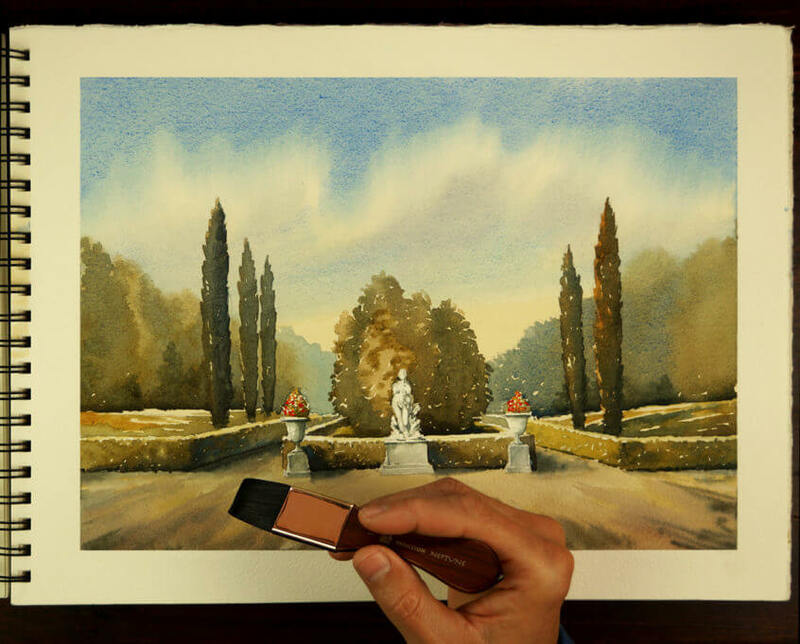 Fine artist, teacher, and author, Vladimir London, shares tips for using our Neptune™ Synthetic Squirrel Brush, Mottler Size 1″. “This brush is one of the prettiest flat brushes I have ever seen! 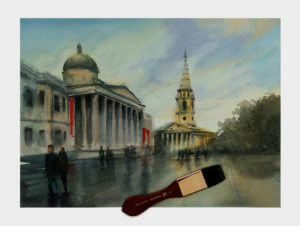 It comes in a miniature size (just one inch longer than the palm of my hand), yet its square 1×1” body is shaped to do the same job as longer-handled flat brushes. 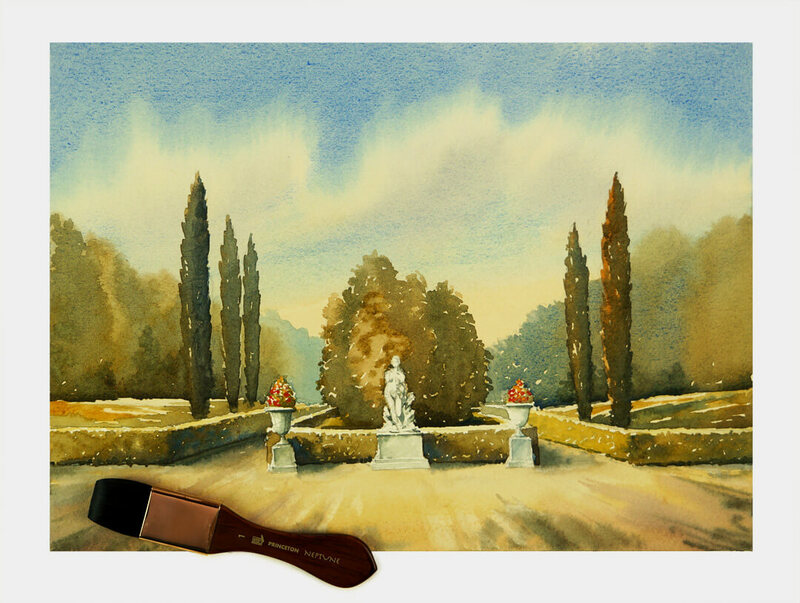 It is soft, thirsty, has a well-shaped edge, and makes a great tool in any watercolor artist’s toolbox.